Written by Canon Raymond Bayley and compiled by the Association, this book is sumptuously illustrated and depicts over 200 chapels co-located with almshouse charities throughout the country. 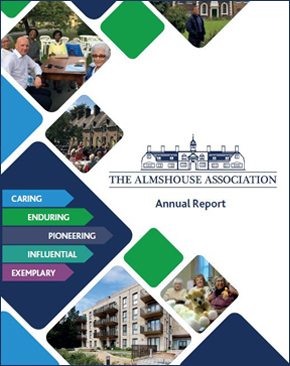 Almshouses trace their history back to monastic times, when the terms such as bedehouse, Maison Dieu, almshouse, hospital described the monastic provision of accommodation for those in need. By the middle of the 1530s there were in the region of 800 medieval hospitals spread across the country but, following the dissolution of the monasteries, only a handful remained, the majority of which were reformed on secular lines and rebuilt in the new collegiate style, including a chapel for regular worship by the residents. Many of these ancient chapels still survive as architectural gems and still occupy a very special place in the life and soul of the almshouse communities they continue to serve, as do other chapels built from the 17th to the 20th centuries. 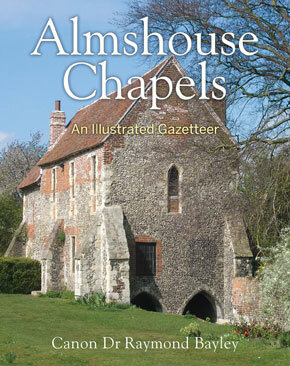 In this publication, based on five years research, Raymond Bayley lists over 200 almshouse chapels, with more than 100 colour illustrations, along with extensive reference information, making this the most comprehensive treatment of the subject available. Anna Hallett has lectured for a wide range of educational institutions including the Open University. 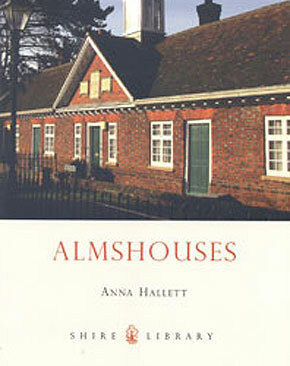 Her interest in almshouses started in the Netherlands, where she was born, and has continued in Britain, where she has enjoyed discovering the many fascinating examples to be found in the most unlikely places. Enjoy this historical tour with her and the numerous colour photographs and illustrations. A Shire Book first published in 2004.